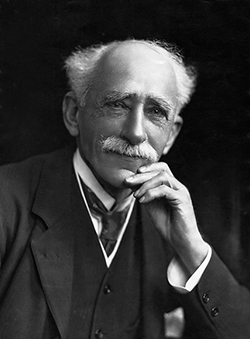 Sir John Ambrose Fleming ( 1849 – 1945) born in Lancaster, Lancashire, England invented the first thermionic valve or vacuum tube, or just valve as it was known. He received a patent on November 16, 1904. 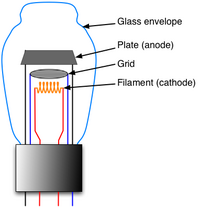 Vacuum tubes or thermionic valves are based around the concept of thermionic emission. Using two electrodes enables diodes to be made that can rectify signals. 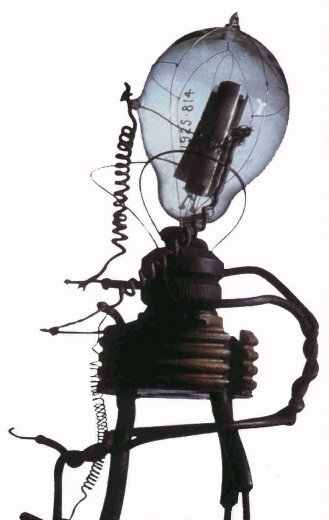 The vacuum tube brought the dawn of the age of electronics. Its invention enabled the wireless technology of the day to move forward. The valve was pivotal in laying the foundations of what we call electronics technology today. The outbreak of World War 2 was a key point in thermionic valve history. These devices came into their own as they were needed for electronic equipment of all sorts from radio receivers to transmitters, radar sets, electronic warfare equipment, telecommunications repeaters and much more.